I sat watching Exodus recently, half wondering what Memphis really looked like at the time of the Pharaohs. A lot may be conjecture, but there are still clues today as to what that ancient civilisation was capable of. The magical thing about travelling to these ancient wonders is being transported to the past, using your imagination to fill in the gaps. Amid the ruins of elaborate temples and palaces, listening to stories of facts laced with myth, a journey back in time unfolds. 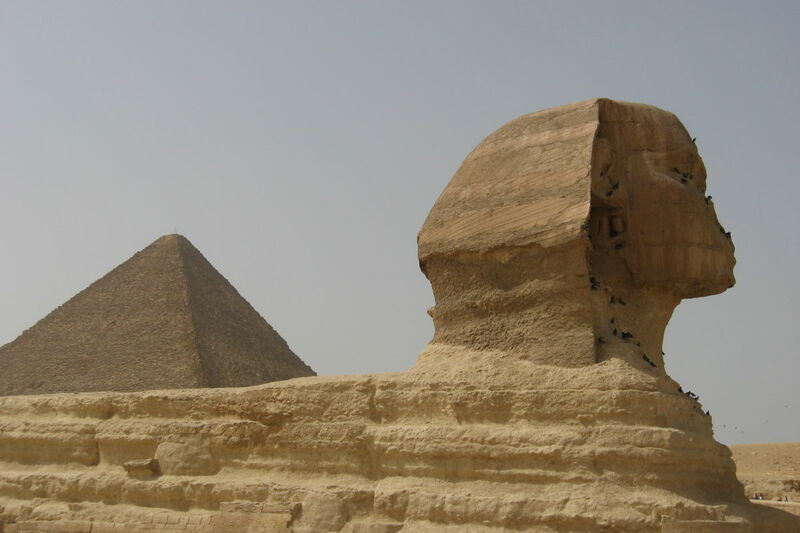 Watching Exodus got me browsing photos of my past trips to Egypt (in 2007 and 2009, before the political turmoil), reminiscing about the sights and the rise and fall of civilisations. 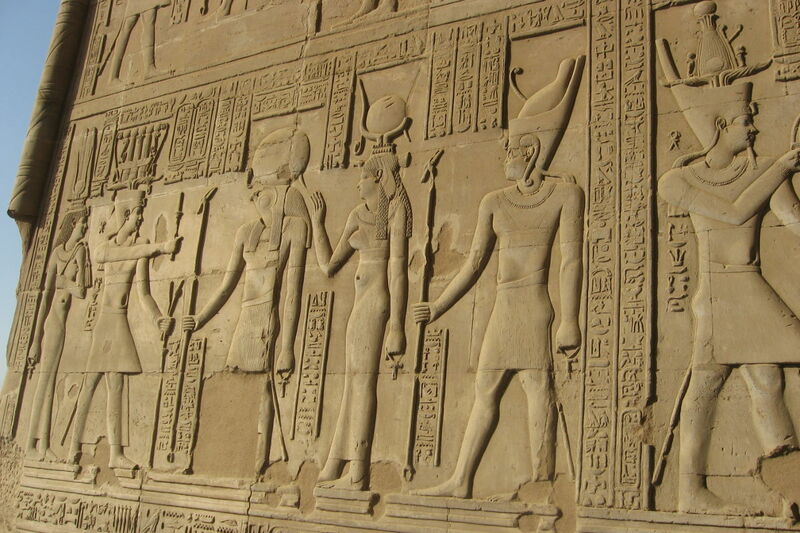 In the movie, the statue of Rameses stands tall towering over Memphis, the former capital of the Pharaohs. 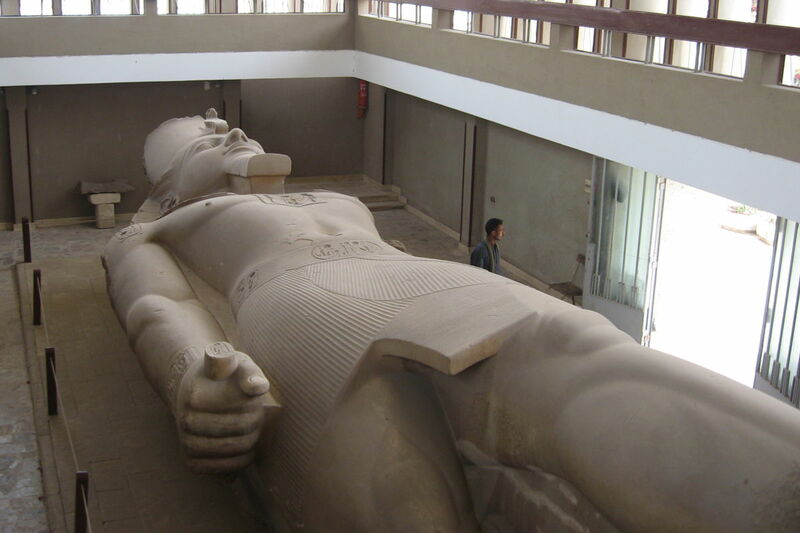 Today, the statue is still in Memphis, but lies flat in a shaded open air museum. The glory of Memphis is long gone – it’s now subsumed into greater Cairo, the modern capital of Egypt. In ancient times, daily life continued on the east bank of the Nile (where the sun rises), and that’s where the majority of homes, palaces and temples were built, like in Memphis. 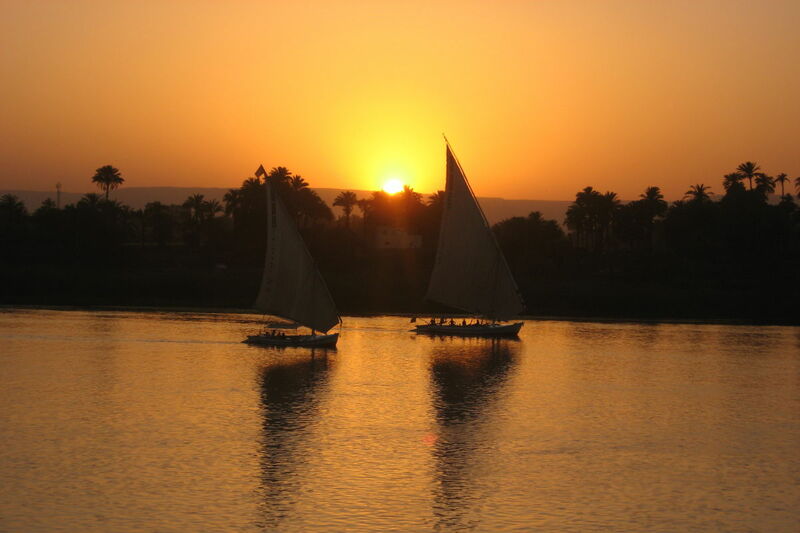 The west bank of the Nile (where the sun sets) was largely reserved for the dead. 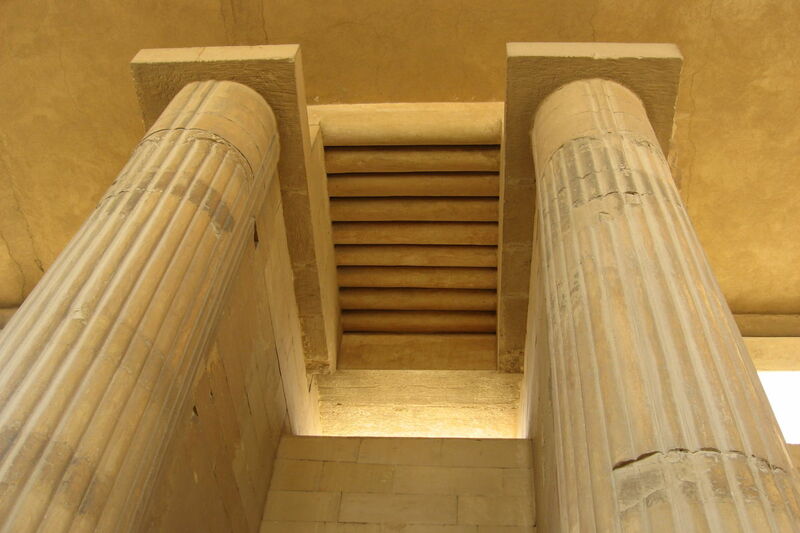 So, not far from Memphis, the necropolis site at Saqqara is where many royal tombs and temples were built. 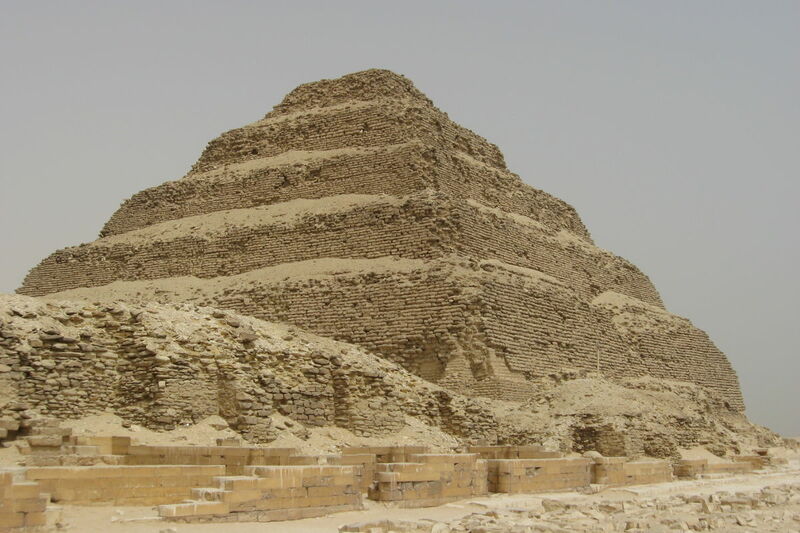 The main feature at Saqqara is the stepped pyramid of Djoser, which predates the grander pyramids at Giza. Well preserved funerary complexes still stand at the necropolis site and give an insight into ancient Egyptian practices. The famous pyramids are today encroached by the sprawling Cairo suburb of Giza. Not far from Pizza Hut and KFC, rising out of a dusty desert, are the three main pyramids flanked by smaller pyramids and tombs. 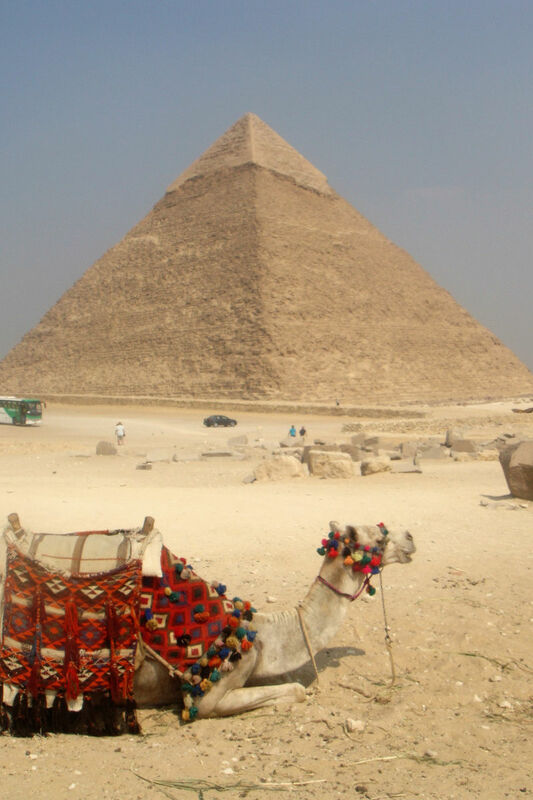 I entered the main Pyramid of Cheops (Khufu) through the “Robbers Tunnel” entrance. This was not an original tunnel that was created during the construction of the pyramids, but as the name suggests, a later formed one, cut through by a battery ram, until eventually connecting with one of the original passages. The inside is unassuming, and largely void of the masterpieces that adorn the tomb walls in the Valley of the Kings in Luxor. Cruising along the Nile there are many temples and ruins from the ancient kingdoms, notably at Edfu and Kom Ombo, Luxor to Abu Simbel in the far south. 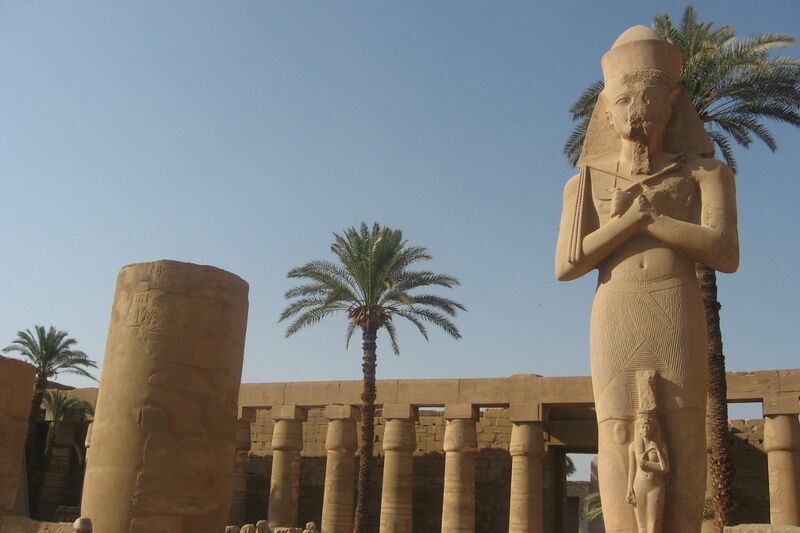 Luxor’s east bank holds the temples of Karnak and Luxor with its treasure troves of columns, statues and carvings. On the west bank, hidden in a hilly location, is the Valley of Kings – the burial grounds of many royals, including the famous tomb of Tutankhamun. 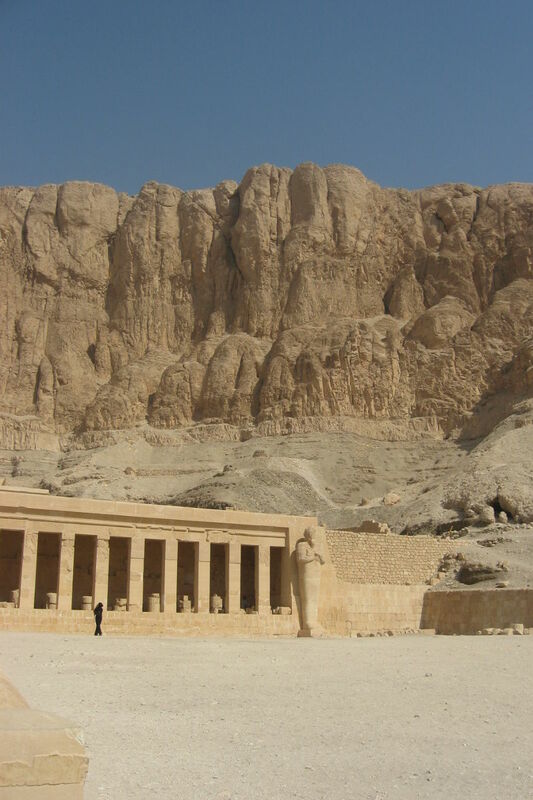 Close by is the imposing Temple of Hatshepsut, carved into the cliffs. Queen Hatshepsut was one of the longest reining female monarchs of the Egyptian kingdoms, and her story, like those of other dynasties is filled with intrigue, murder and mystery. Even if we will never be able to separate truth from legend, there’s no denying that these great monuments were built by a civilisation that left its mark on the world.